How does a new mom face the wonder and the wear that a baby brings? What happens to the woman she was? Is it normal to laugh and cry simultaneously? Sandra Drescher-Lehman, in her disarmingly forthright way, gives language to the eternally long hours of being with babies, the holy moments that change exhaustion to exhilaration, the private fears, that sudden gratitude for one’s own mother. Drescher-Lehman’s own hands and heart are deep in this subject. She is a writer and mom to two preschoolers. Her voice is gritty, yet grateful. Her moods move through the range that all mothers know. She brings comfort. She lends identification to this most basic, yet most personal, experience. Each meditation is brief. 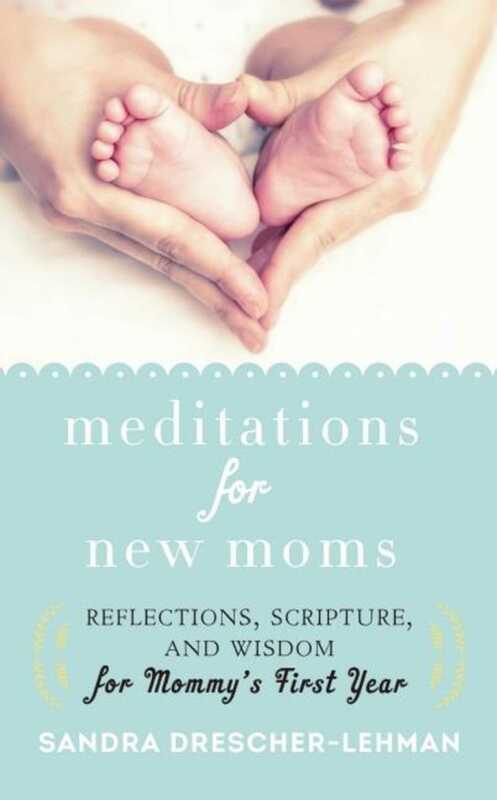 Each offers a short Scripture passage and prayer and then suggests an idea or exercise that a preoccupied mom can carry throughout her day. With a beautiful layout, updated hardcover design, and a ribbon marker, this makes a perfect gift for expectant and new mothers.